This is the album that seems to polarize Butch Walker fans. They either love it or hate it. The Rise and Fall of Butch Walker and the Let’s Go Out Tonites is not acoustic like his previous Letters. It’s also not the hard rock of the Marvelous 3/Left of Self Centered days. Instead, it seems like a guy just doing what he wants to do. Obviously by titling the album The Rise and Fall of…, Walker is inviting comparisons to David Bowie’s 1972 masterpiece. What’s nice is that Walker channels the glam excess of Ziggy Stardust and Marc Bolan without sounding derrivitive. There’s some authentic glam sleaze on this disc. “Hot Girls In Good Moods” kicks the album off with an almost perfect T-Rex clone. The song even includes the handclapping and stuttering choruses as well as female backing vocalists. “Ladies and Gentlemen” follows up the T-rex assault with a song that Ziggy would be proud to have written. The “la la las” are straight from Bowie’s The Man Who Sold The World album. “Bethamphetimine” sounds like Lou Reed fronting The Spiders From Mars. “Rich People Die Unhappy” is an alt-country song that rages against the “franchise of bands as fake as the X’s sharpied on their hands.” Walker would know a thing or two about those having written hit songs for a bevy of them. “When Canyons Ruled The City” is a pop acoustic track with a lead electric playing riffs that sound “borrowed” from the Bowie / Mott the Hoople classic “All The Young Dudes.” Lyrically, the song personifies places in LA who are all interconnected. As much as people dislike the fact that Walker works with musicians who they consider to be the antithesis of rock music, it affords him the luxury of doing what he wants to do on his own. In this case, it means he can write a really fun rock and roll record. Walker’s not emo. At least not anymore. Now he just wants to have fun and just plain rock out. 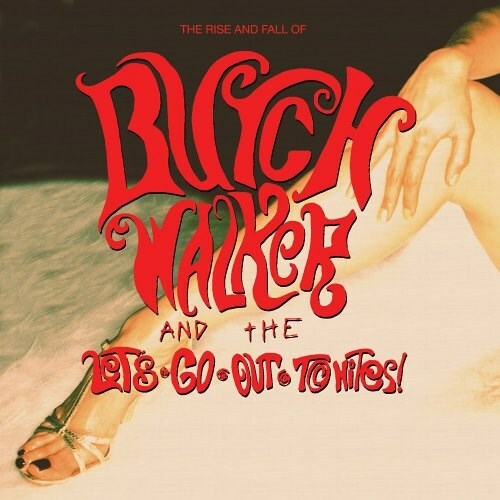 The Rise and Fall of Butch Walker and The Let’s Go Out Tonights gets my vote for party rock record of the year.